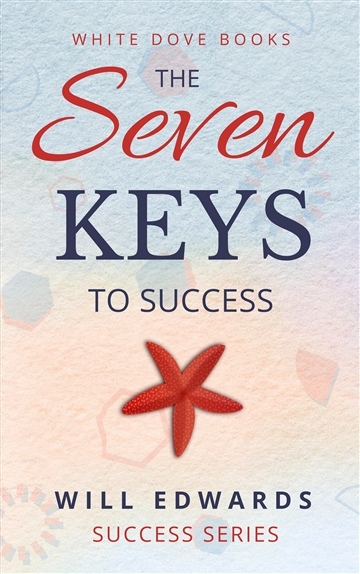 An inspirational book that will change your life, The 7 Keys to Success contains an important message - it is time for you to wake-up and start living the life you were born to live. Once you acquire these seven important keys, you will not only go on to be astonishingly successful in life, you will also know that inner peace that comes from living a life that truly matters; one that actually makes a difference. The late Stephen Covey once said that all of the habits outlined in his famous bestseller (The 7 Habits of Highly Effective People) were to be found in every major world religion. Exactly the same is true of the seven success principles contained in this book. Will Edwards is an acclaimed writer of inspirational non-fiction, but he also writes business books and dabbles in a number of other genres including allegory. Born and raised in the north of Liverpool, he attended the ‘tough old school’ he wrote about in his first novel 'Fergus and Me'. With some of the teachers bordering on psycho, he describes his outstanding achievement of the early part of his life as, simply, surviving it. He eventually completed the formal part of his education, graduating from the University of Birmingham and travelled the world with the British company Apricot International. He became Technical Manager of the company and a lifelong member of the British Computer Society before finally discovering his life purpose, to encourage other people to live more meaningful lives.